Incorporating social media into your digital strategy is as important as ever, but if you’re still playing by 2017 rules, your results won’t be the same in 2018. That’s because Facebook recently announced a new algorithm that has changed the game. The change will significantly affect the exposure of your posts from your business page. Going forward, newsfeed preference will be given to those pages which have good interaction with people. That is, people should like, share or comment on the content being posted. So when posting, think about type of content that may get more attention from your followers. Posting interesting articles, even from other sources may not increase traffic to your site, but it will get you more engagement from your Facebook audience and indicate to Facebook that you are sharing good content. Post more personal information, like pictures of the practice, birthday parties, community events, etc. Personal information helps show your personality and will get more likes than clinical or surgical articles. You can also tag employees in your posts (with their permission, of course). This may seem intimidating, but live video gets 6 times the interactions compared to regular posts. Facebook has also reported that “People spend more than 3x more time watching a Facebook Live video on average compared to a video that’s no longer live” and “people comment more than 10 times more on Facebook Live videos than on regular videos”. What should you talk about? Topics for a Facebook Live can be explaining or demonstrating a procedure or how to do something, a question and answer session on a particular topic, behind the scenes of your office, weekly tips, etc. If you have a budget for Facebook advertising, consider boosting 2-3 of your recent blog posts or your top-performing posts. With the right ad targeting, these posts would continue to engage more people and reach more people. The good news is that you don’t need a lot of money to boost posts. With as little as $200 per month, your reach can increase significantly. As reach increases, engagement on the posts increases. Facebook advertising campaigns are a popular and cost-effective way to get your message to the right person and help build your brand. These ads are targeted to gender, age, education, cities, pages they have liked, etc. and the ads will be shown to target audience while they are checking Facebook newsfeed. Another option is lead generation ads. These ads are also targeted to your patient demographic and will provide you with information of those interested in your service at the click of a button, since the fields for contact information are pre-populated. This information is instantly accessible to you through Facebook so you can respond or follow up. It’s time to invest in measurable ads that are optimized for conversions and leads instead of focusing only on post likes and likes to your page. Your Practice Online can help you boost your posts and create ads to get the attention of your target audience. 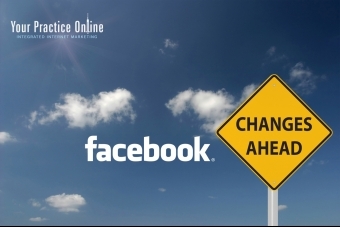 Contact us to discuss how we can help you with Facebook advertising with our social media services.